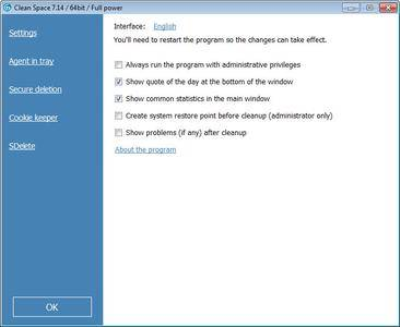 This program was designed to rid your computer of electronic garbage and protect your online privacy. Your computer's garbage includes a lot of objects (for example, cache and temporary files of various programs and Windows OS itself), internet cookie files, internet browsing history, logs, index. dat files, registry entries, etc. Those objects are scattered throughout your computer, usually in hidden system folders, wasting gigabytes of precious disk space.